Mass Maharaj Ravi Teja is known for keeping his friends closer to him and remembering those who gave him a break during his struggle phase. The actor, apparently, asked Srinu Vaitla to prepare a script for him. 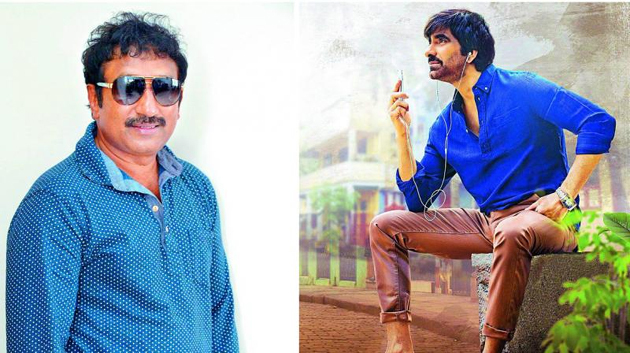 Srinu Vaitla, is one of the directors who have shaped the career of Ravi Teja with films like Nee Kosam and Venky. Both films helped Ravi Teja to improve his participation in the eyes of the public as a mass hero and actor. Now, while Srinu Vaitla tries to find an actor and a producer after giving three debates, Ravi is ready to help him. Ravi Teja asked the manager to put his best foot forward for him and he will take care of the rest, like bringing the team he wants and a good producer too. Srinu Vaitla, is now busy looking at a good screenplay suited to his sensitivity and Ravi Teja too. Soon, the director will meet Ravi and discuss the film. As the actor is completely disturbed by losing his brother, the director waits the right time to meet the actor according to the buzz.